Month of Reviews Day 17 – The Ice Dragon. An enchanting tale of courage and sacrifice for young readers and adults by the wildly popular George R.R. Martin, author of A Song of Ice and Fire, the series that inspired HBO’s Emmy Award-winning GAME OF THRONES. Lavish illustrations by acclaimed artist Luis Royo enrich this captivating and heartwarming story of a young girl and her dragon. My daughter picked this up from the library, she’d not started it so I had a quick look and before I knew it I’d finished! It’s a quick read (120 pages) about 7 year Adara, born to the winter she comes across as cold and emotionless with not only the children her age but also her family. The animals of winter are her friends, especially the ice dragon. I loved reading about the bond that forms between these two unexpected friends, friends that go above and beyond for each other. I have to mention the drawings/sketches in this book, WOW! They are amazing, detailed and mesmerizing. They added a lot to this book for me. A great read for all….. I was drawn to it because of the author, my daughter because of the content and drawings. Month of Reviews Day 16 – Lucy’s Fingley Discovery. Get set for…TIME TRAVELLING FUN! Doing Ordinary Deeds Lovingly Changes Lucy’s Life Forever! Join Dodl Bear when he visits Lucy’s dream and invites her on a Time Travelling adventure to The Magical World of Fingley, an eco-world where humans, fairies and other curious creatures live. Funny, Educational, Inspirational and Magical! Lucy’s Fingley Discovery shows that having responsibilities can be fun! When Lucy doesn’t look after her pet hamster Winston properly she gets visited by the magical bear Dodl in her dream. She was suppose to clean out his cage regularly, brush him, and do the basic things all pet owners should, but Lucy soon got bored of Winston and always found an excuse to get out of tiding her room or cleaning out Winston’s cage. So when she met Dodl he took her back to the magical world of Fingley were she soon learns that tidying isn’t so bad after all, but when Winston gives her a big scare she hopes its not to late to start being a good pet owner and keeping everything tidy and helping her mum out around the house. Join Dodl and Lucy on there magical adventure through Fingley which is home to fairies, mermaids and pegacorns. My favourite part of the story was when Lucy found the little card from Dodl that he’d deliberately left for her on the floor so that when she was cleaning she would find it, on the card was a few lines from the song they sang in Fingley while they were cleaning to make time go a little quicker and to get the job done. I also liked it when Lucy rode Aura the pegacorn across the beach. I also enjoyed the activity pages and competitions in the back of the book. The pages also have little decorations which draw your eye, that was a nice little touch. I love the front cover which is very bright and colourful with Lucy, her pet hamster and her room in the background with Winston’s cage. 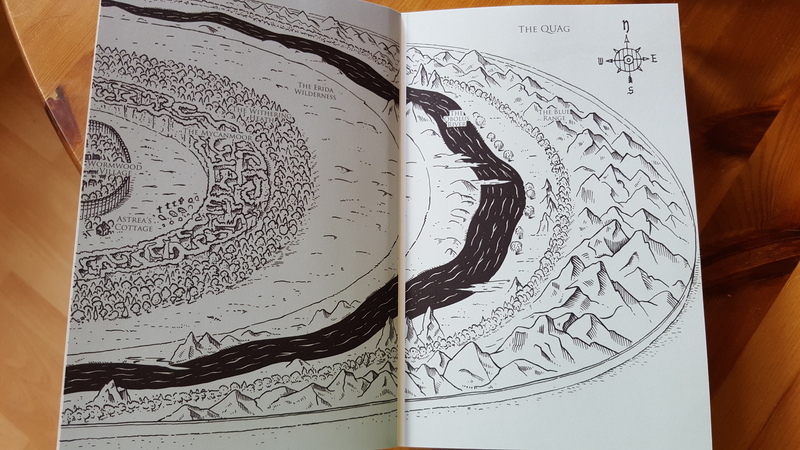 I think the book would have been better if there had been some pictures throughout the story, the only pictures in the book are the ones with the activities and the map of Fingley at the start. Other than that I thought this was a great read! Thank you to Daisa Morgan for sending me a copy of this book and I hope you read the other books in the Fingley series. And the world of Fingley doesn’t end there! You can now visit…. yes visit the world of Fingley! Located in Barton upon Humber, you can eat, visit and explore Fingley. Whether that be a craft session with ‘Astoria the Pixie’ and ‘Elgiva the Elf’ a play in the soft play centre, tea in the park or even the chance to hold your very own birthday party with them! The choices are endless in the world of Fingley!! Month of Reviews Days 11, 12, 13 & 14 round up. Unfortunately due to family issues our weekends posts didn’t get published so to catch up we thought a round up post would be a great idea! Having children at both ends of the reading spectrum (12 and 2) our trips to the library are some what difficult. The toddler part is at the opposite end of the building to the teen part so our trips take at least an hour, even longer if they have had a delivery of new picture books!! Even though my teen is no longer into these books she sure has a good look at the new additions and who can blame her when THESE are in the pile….. or should I say in our home pile! Amy-Lee (aged 12) and the one pretending to be uninterested in the toddler section slyly added King Jack and the Dragon and Jack and the Beanstalk to the pile. These books had more words than we would usually choose but to my amazement Lily-May actually really enjoyed these books, I loved the little tabs on the Beanstalk book. And our trip is never complete without at least one book from our absolute favourite author, David Melling. We are HUGE Hugless fans, it doesn’t matter if we have already had the book we never go home without one of these! All these books are great reads, with bright vivid illustrations that keeps my toddler’s attention for the whole book (and that’s a great achievement at times!) make sure you keeps your eyes out for them on your next library visit! 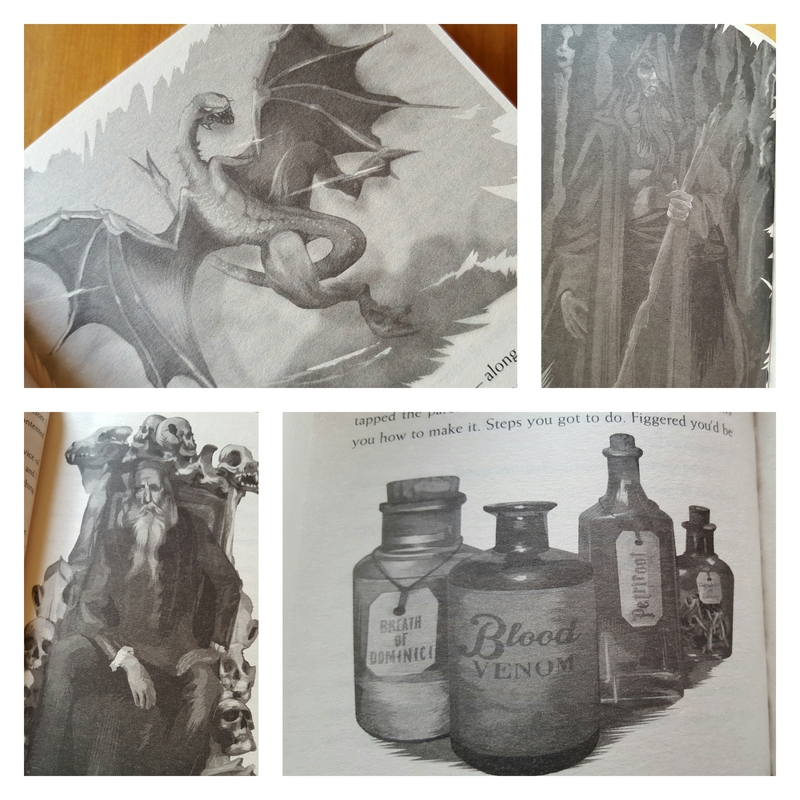 Month of Reviews Day 10 – The Tales Of Beedle The Bard. I’m not sure why it’s taken me so long to pick Beedle the Bard up and I only with I had read it sooner! 5 wizarding childrens stories (The Tale of Three Brothers, which is featured in the film) its a quick read book which i finished it within an hour. After each story Dumbledore pens his own thoughts about each book, which I really enjoyed. I loved reading how he interpreted each story and at points had you rethinking how you read the story yourself, I loved the extra glimpse into this wonderful Wizards mind. My favourite out of the 5 stories has to be The Fountain of Fair Fortune. The more muggle kind of story from the 5, it was the most heart warming and dare I say ‘normal’ one that I would probably read to my own children. A must read for any Harry Potter fan, and a must for the collection! Month of Reviews Day 8 – A Case of Good Manners. Anyone with Toddlers need this book box set in their lives! 12 great, colourful books in their own case all about manners. My 2 year old adores these books, on the odd occasion she has done something wrong and has to sit on the naughty step we get the book that relates to what is has done wrong, I then sit and read it to her and explain to her why it’s not nice and why manners are important, and they seem to work with her understanding of the different manner. I also took these to playgroup and they went down a treat with both parent and child, below is a comment from Mum, Kelly about this great case of books…. He loved the stories and loved talking about the pictures, he’s an animal lover so that went down a treat. Sweet Cherry Publishing is an independent children’s publishing company that specialises in fiction series.Their books explore engaging characters and worlds that children will want to revisit time and time again, and their list targets a wide range of readers – from board books and picture books all the way through to YA. They publish a diverse selection of genres including action, fantasy, and coming-of-age, and their educational titles for younger children are very popular with parents and teachers. They truly do have some amazing titles available (we have our eye on a few) so do make sure you check out their website, when we say there is something for everyone Sweet Cherry has you covered!! Month of Reviews Day 6 – The Keeper. Now Vega and her best friend Delph must find a way to make it across this terrifying land of bloodthirsty creatures and sinister magic. But the Quag is worse than Vega Jane’s darkest imagining. It’s a living, breathing prison designed to keep enemies out and the villagers of Wormwood in. The Keeper is book 2 from the Vega Jane series by David Baldacci and is not his usual writing style so please be aware of this before you one-click or buy, that being said it turns out I’m turning into a huge Y/A fan and this book definitely didn’t let me down. David steps away from his usual thriller style writing to bring us an action packed read of Vega Jane. With twists, turns and some pretty Wild sounding and looking animals on their trail it makes you wounder if Vega, Delph and Harry Two should have ventured into The Quag. especially the map at the front. Also the guide to Wormwood and beyond was a fab idea…. I’m just glad the likes of Adar’s and Outlier’s are firmly in Baldacci’s books and not of the real world!! With a great mix of characters, both main and secondry, I felt they each brought their own to the story. This book has had me reserving book 1 at the library so I can really get into the world of Wormwood and read Vega Jane’s story from the beginning…….. now all we need is book 3! Month of Reviews Day 5 – The Everywhere Bear. And he goes home with one of them every weekend. The Everywhere Bear has a wonderful time with the children in Class One, but one day he gets more than he bargained for when he falls unnoticed from a backpack and embarks on his own big adventure! He’s washed down a drain and whooshed out to sea, rescued by a fishing boat, loaded onto a lorry, carried off by a seagull . . . how will he ever make it back to Class One? Now were are MASSIVE Julia Donaldson fans in our house so we were very excited to review this book! A sweet story about a classroom bear that gets his very own adventure! From drains to seas to fishing boats to libraries, this bear sees it all! My little one loved the fact that one of the school children had the same name as her (Lily) and she enjoyed pointing out the bear on every page. The illustrator, Rebecca Cobb, has done a wonderful job on the pictures, my personal favourite being the teacher putting bear in the washer after his big adventure. A story about Malcolm and his animal obsessed family. Now being animal obsessed is ok, unless your’e Malcolm. You see, Malcolm has a dislike for animals (crazy i know) but each to their own. So you can imagine the horror when he finds out that his year 6 school trip is to……THE FARM!!! Now you have to feel sorry for poor Malcolm at this point, the poor boy has to spend the next few days surrounded by the thing he dislikes most in his life BUT how will he feel once hes spent a few days AS the animals?! Yep poor Malcolm somehow ends up as the animals… looks… smells… acts like all the different animals hes surrounded by, at the end of the trip will Malcom become his animal disliking self or a new animal loving Malcolm? Only a read of this book will tell you because we definitely wont spoil this must read book for you! Have a sneak peek on what Animalcolm is all about with this fab book trailer…. This book had me in fits of laughter, at one point i asked my Mum ‘Could you imagine being a Cat or a Monkey?! Might be fun at first until it comes to bath time!’ made me think for a second until i saw our own cat having a wash! It was an easy read, easy to get into and easy to pick up again once i had put it down. The little drawings kept me entertained and my little sister (aged 2 ) made all the animal noises along the way. I also enjoyed the numbered after thoughts at the bottom of the pages, i also love to know if penguins can understand pigeon?!? I would definitely recommend it to all my friends (both boys and girls as its certainly one for them all) and I’ve also asked if i can get David’s other books for Christmas! 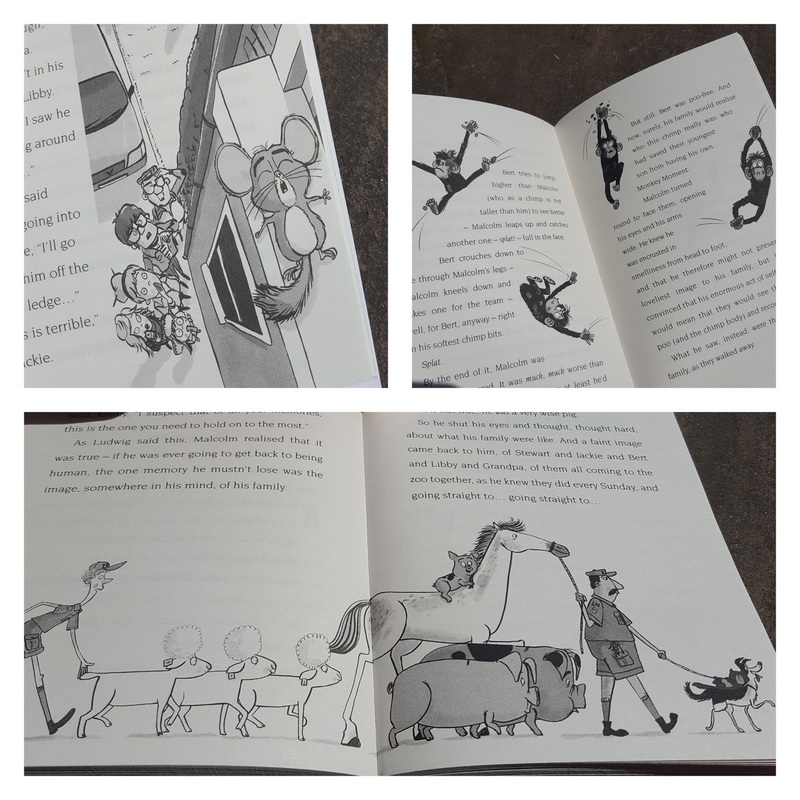 Month of Reviews Day 3 – Baby and Lion Dog – The search for the missing nose. Baby and Lion Dog have a special relationship. Each story takes them on a different adventure; searching for clues, helping people and solving mysteries. This is a heartwarming story which has just enough adventure and mystery for young children to enjoy. What will happen on their special adventure this time? The story is about a little boy and his dog who like to go on adventures and solve mysteries along the way. This book takes them on a hunt to find the missing nose to a very sad circus clown. Do they find it? Like i’m going to tell you……. It will spoil your read. We pointed out all the different characters in the book, and had fun guessing where the clowns nose would be found, neither of us guessed right. The illustrations in the book are beautifully done and kept my 2 year old’s interest throughout the whole book, which is pretty hard to do as shes always on the go!